Phone calls could be coming to the Amazon Echo and Google Home, but the companies are currently hung up on several technicalities. Amazon’s Echo smart speakers and Google Home can already turn on your lights, adjust your thermostat, play music, and even unlock August Smart Locks. But the next skill coming to your smart home speaker could be the biggest yet: phone calls. Both Amazon and Google are reportedly looking into adding the ability to send and receive phone calls over their respective smart speakers. The calling would probably use voice over Internet Protocol (VoIP) technology similar to services like Skype, according to The Wall Street Journal. Before VoIP lands on smart speakers there are apparently some logistical concerns the companies want to address, such as what to do about 911 calls. Two-way voice communication typically requires emergency dialing, but VoIP services like Skype have so far been able to avoid the 911 requirement in the U.S. 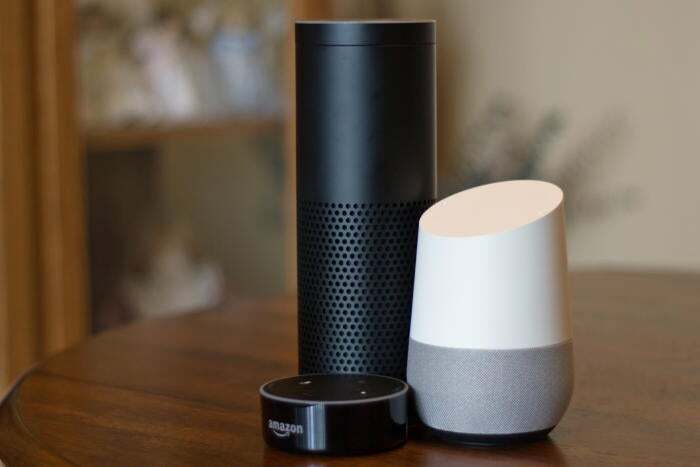 The concern, the Journal says, is that if people become used to using their smart speaker instead of a land line they may expect it to be able to call 911—something Amazon and Google are apparently keen to avoid. There are many other considerations as well, including privacy worries that the smart speaker would secretly record phone calls; how law enforcement could tap these calls; and also the logistics of the best way to hang up or answer a call. The impact on you at home: VoIP on your smart speaker could arrive as soon as late 2017 if all the various hurdles are resolved. But from the sounds of the Journal report the services are far from being finalized. Amazon, for example, is considering routing phone calls through your mobile phone, similar to how Cortana handles SMS messages on Windows 10. It’s also not clear if the companies will deliver their own VoIP systems or invite third parties such as Skype to integrate with the smart speakers. For Google, the obvious solution would be Google Voice, which recently received an overhaul.